Do You Have Spider Veins on Your Nose, Chin and Cheeks? Get Glowing Complexion! Unwanted small spider veins are usually caused by the natural aging process of the skin, sun damage, trauma to the area, certain skin disorders such as rosacea, or just your genetics. Spider veins, also known medically as telangiectasia or venulectasias, are tiny red, blue or purple thread-like veins near the surface of the skin that often take on the appearance of a spider’s web. These perpetually dilated and visible veins, caused by increased pressure to the veins, can develop on any part of the body, including the face. Facial veins are common for men and women of every age and can cause a great deal of embarrassment. Spider veins on the face are most effectively treated with lasers. At Noydeen Beauty, Our medical provider and his team utilize state-of-the-art skin to eliminate facial vein issues. 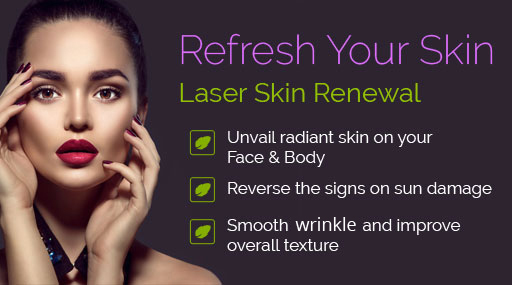 Our high tech laser is designed to just remove blood vessels, spider veins, and red marks-causing no tissue effect or damage to any other elements of the surrounding skin. The laser beam targets the blood vessels, and seals them ups. After the treatment, the skin is mildly red and swollen, and requires a few hours of cooling to reduce the treated inflammation. Some treated vessels look darker for a few days, then begin to fade and disappear. Generally, patients return to work that day or the next day. The spider veins slowly resolve over 4 weeks. One to three sessions, spaced fours weeks apart, give best results. Prior to treatment Noydeen Beauty will review your medical history to determine the severity of the problem and to decide on the most effective treatment. Our advanced lasers selectively treat the vein without damaging the surrounding healthy tissue. Treatments are safe and effective for various diameters and depths of leg veins. Several treatments are usually required for optimal results. At Noydeen Beauty, our innovative facial vein treatment uses advanced laser technology to target and destroy the blood vessels responsible for spider veins, causing them to visibly disappear. Since the laser targets the blood vessels within the vein, there is minimal or no damage to the outer layer of skin, and clients typically resume regular activities immediately following the treatment. It is ideal for spider veins and superficial veins on your face. Many patients experience immediate improvement in the appearance of their facial veins following the treatment followed by continued improvement over the next week or so. A series of treatments may be needed to fully clear blood vessels and reduce the appearance of the facial veins completely. Typically one to four sessions are needed for desired results.